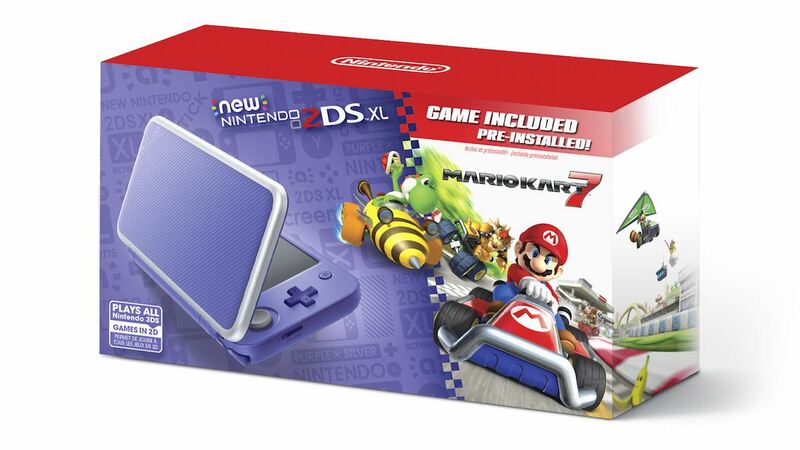 Nintendo of America has announced plans to release a Purple + Silver New Nintendo 2DS XL bundle next month that will come pre-installed with the high-octane Mario Kart 7. The Black + Turquoise and White + Orange New Nintendo 2DS XL systems will also be changed to bundles that come with the Nintendo 3DS exclusive racer on the same day. The Purple + Silver New Nintendo 2DS XL with Mario Kart 7 will release in North America on September 28th, priced at $149.99.